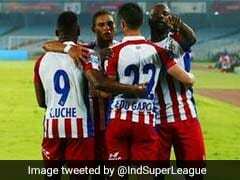 Carlos Calvo put Jamshedpur ahead in the 66th minute before Seiminlen Doungel's equaliser in the 77th minute ensured the spoils were shared. 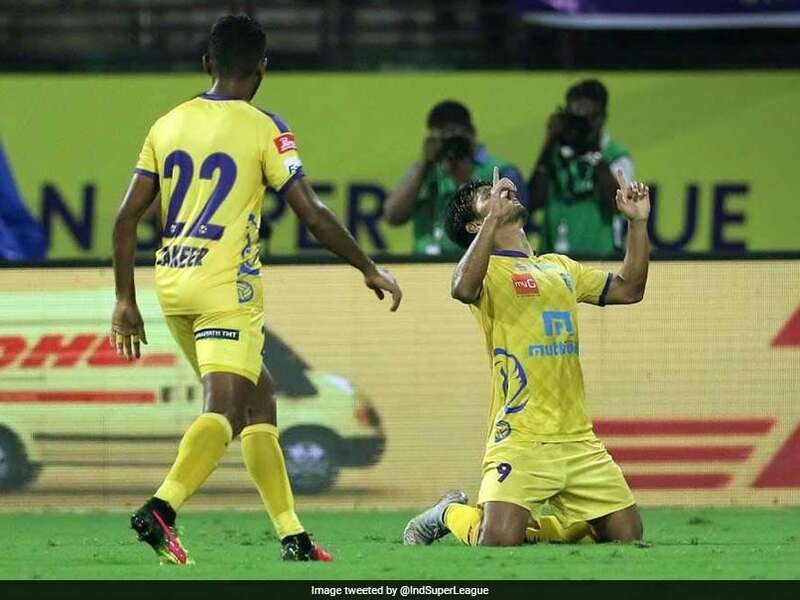 A maiden home win continued to elude a wasteful Kerala Blasters FC as they were held to a 1-1 draw by Jamshedpur FC in a Indian Super League encounter at the Jawaharlal Nehru Stadium in Kochi on Tuesday. 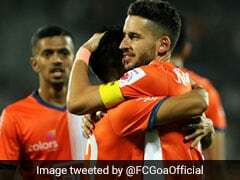 Carlos Calvo put Jamshedpur ahead from the spot in the 66th minute before Seiminlen Doungel's equaliser in the 77th minute ensured the spoils were shared. Both coaches made three changes each to their line-ups with David James reinstating Slavisa Stojanovic in the starting eleven after he recovered in time from an injury while Cesar Ferrando handed Tim Cahill a start up front. Stojanovic should have done better in the seventh minute after receiving an excellent through ball from Sahal Samad but the Serbian blasted his effort wide. The visitors were dealt an early blow with Michael Soosairaj having to leave the pitch with a hamstring injury. Things could have gone even worse for Jamshedpur minutes later when Mario Arques lost the ball to Keziron Kizito in midfield. The Ugandan midfielder's surging run saw the ball ultimately fall to Samad with the goal at his mercy. However, the youngster struck the woodwork to give the visitors a huge reprieve. Jamshedpur soon started seeing more of the ball but it were the hosts who looked more dangerous.A Kerala's wastefulness, however, continued with Halicharan Narzary wasting a gilt-edged chance. An error in judgment from goalkeeper Subrata Paul saw Stojanovic feed the Kerala winger with the Jamshedpur custodian nowhere in sight.A Narzary though, failed to make it count with his effort being cleared off the line by Memo. Jamshedpur would have been glad to go into the interval with the scoreline intact as Kerala were left to rue their inability to finish. With Kerala struggling to find the finishing touch, James introduced CK Vineeth in the second period. 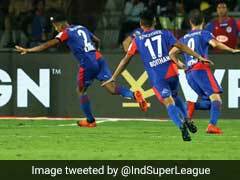 The hosts continued to knock on the door while Jamshedpur managed to threaten at the other end through Carlos Calvo's shot which was directed straight to Dheeraj Singh. 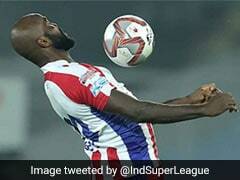 The young Kerala custodian gave away a controversial spot-kick moments later following a quick Jamshedpur breakaway. Calvo fed Cahill through with a brilliantly lobbed ball over the defence before the Aussie was brought down on the edge of the box by Dheeraj. Calvo made no mistake from the spot to fire Jamshedpur ahead as Kerala were made to pay for their profligacy. The visitors then made another goal-line clearance to deny Doungel but the Blasters winger would not be denied a second time just minutes later to pull his side level. Jamshedpur failed to fully clear a corner and when the ball was pinged back into the box, Doungel overpowered Bikash Jairu to poke the ball past an onrushing Paul. 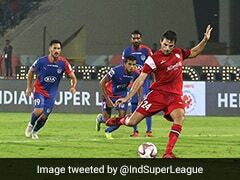 There was late action as Nemanja Lakic-Pesic came within inches of handing Kerala the winner, while Arques' header from a corner was just about kept out by Dheeraj.